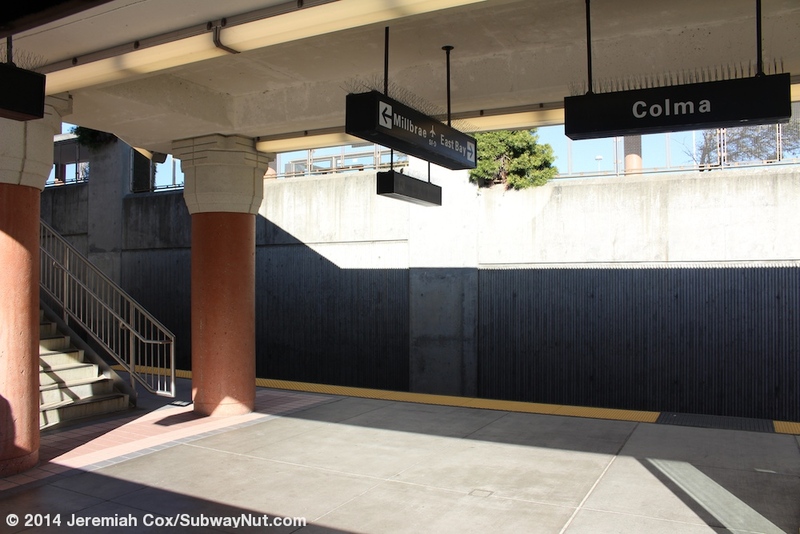 Colma, a state-of-the-art intermodal station opened on February 24, 1996 as a 1.6 mile extension from Daily City. 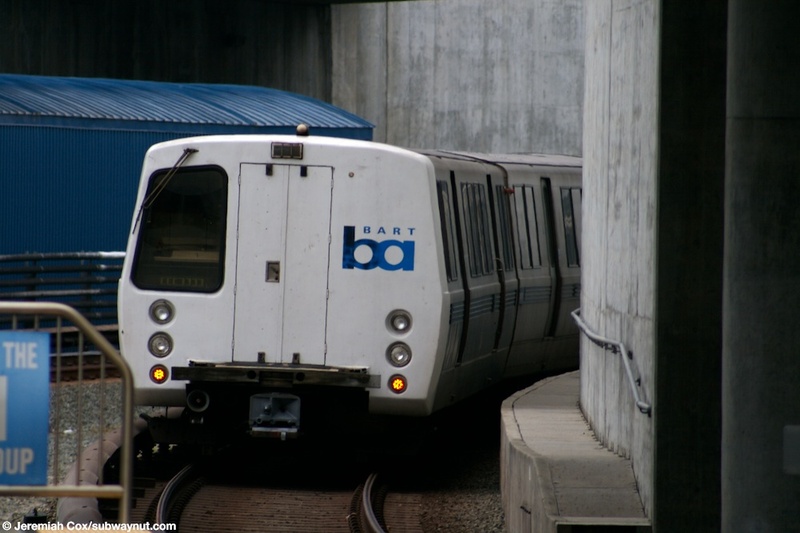 It is the first station and first phase of the San Francisco Airport Extension Project. 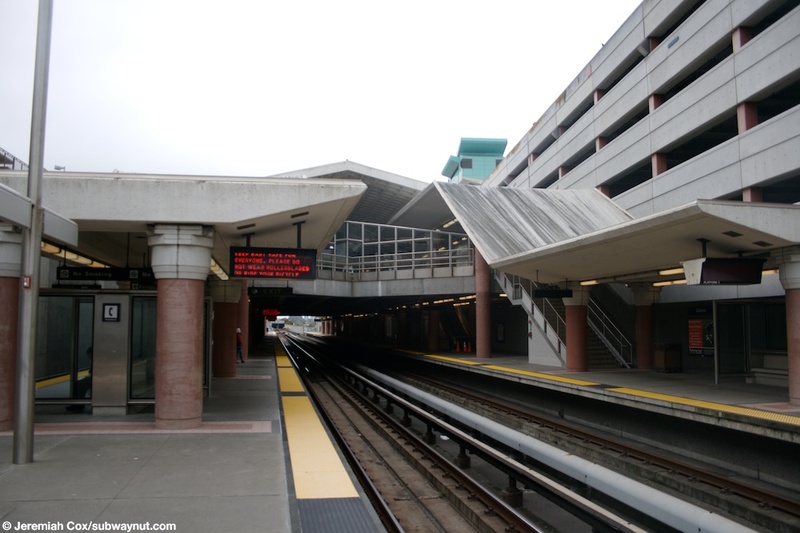 The station is located along the eastern side of the large Colma yard complex that the 1,400 space, 5 story- parking garage is partially built on top of. The yard though isn't visible from the platforms, it and the station are in an open cut because of high platform walls. 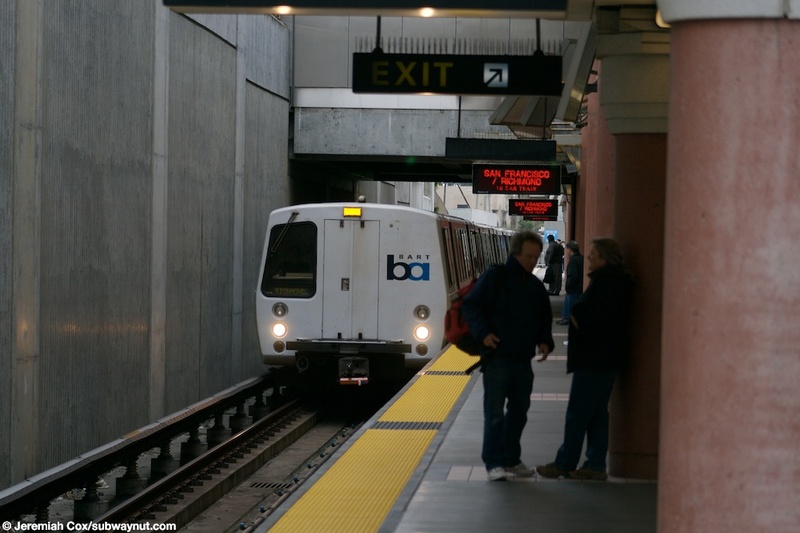 Most if not all trains from Daly City could easily be extended to Colma since the station has three tracks and the entire line between here and Daly City (mostly to feed the yard) is three-tracked. Today, though the only trains stopping at the station make it as an intermediate stop. 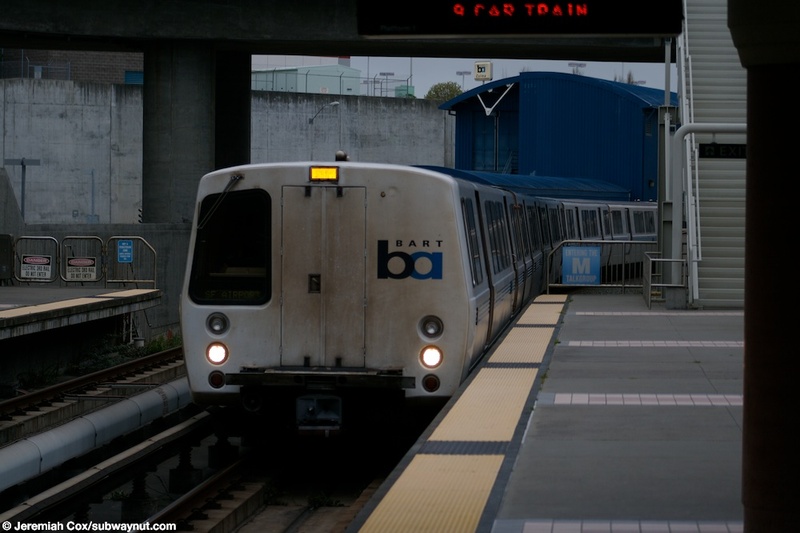 The stop still has the major ability to terminate trains, with three tracks and an island platform and side platform serving those tracks. Today the side platform is closed off and not used in normal, revenue service; all trains stop at the island platform. The platforms are covered except for a couple cars at each end by a modern canopy structure that is held up up by large and decorative red 'marble' columns. These columns also hold up the large mezzanine area above the platforms. 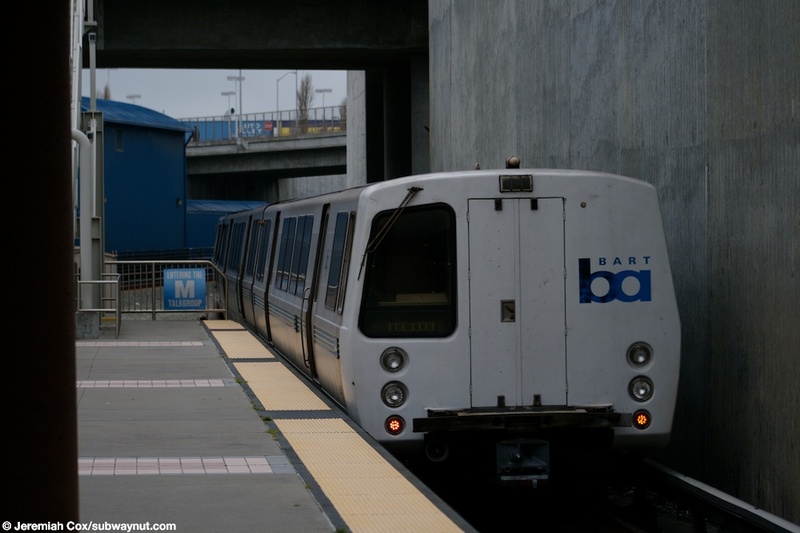 This mezzanine area has a split-fare control configuration with two sets of fare gates on eitherside of a central out of Fare Control passageway/bridge that provides access to and from both sides of the open cut. Passengers on each side of the mezzanine after passing through one of the two banks of fare gates reach an elevator (on the north side only), followed by an escalator down to each platform and then a staircase. Leaving to the east passengers immediately reach a bi-directional bus driveway that is a turn-off from Albert M. Teglia Blvd. 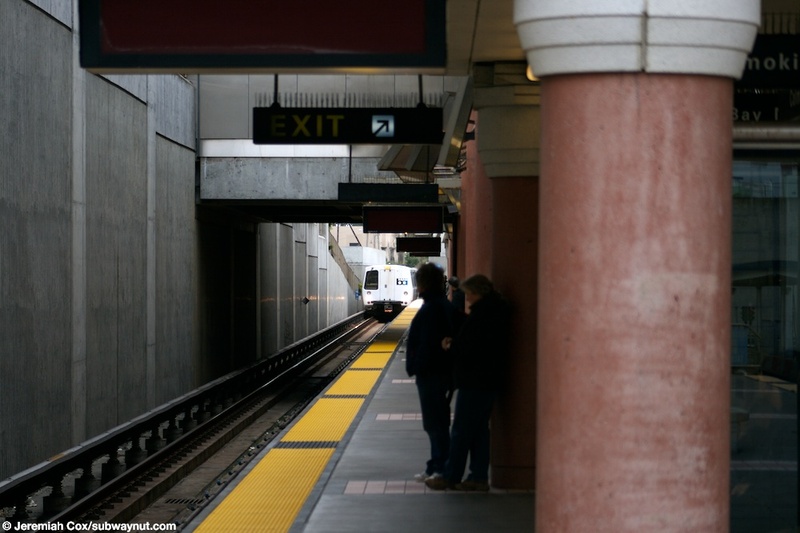 These bus stops for SamTrans buses and drop off area have long canopies held up by the same distinctive red columns as those found in the station. 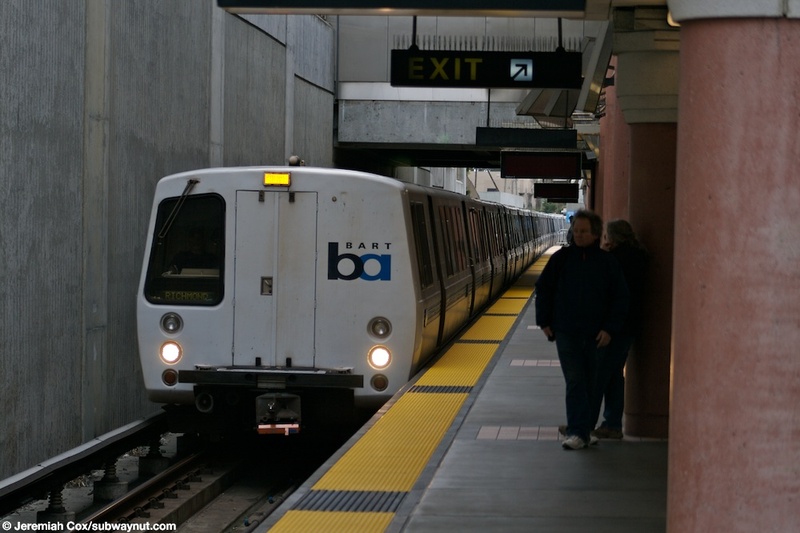 Going the opposite western way, passengers immediately reach the station's 1,400 space parking garage, that reviewers say always have spaces available. 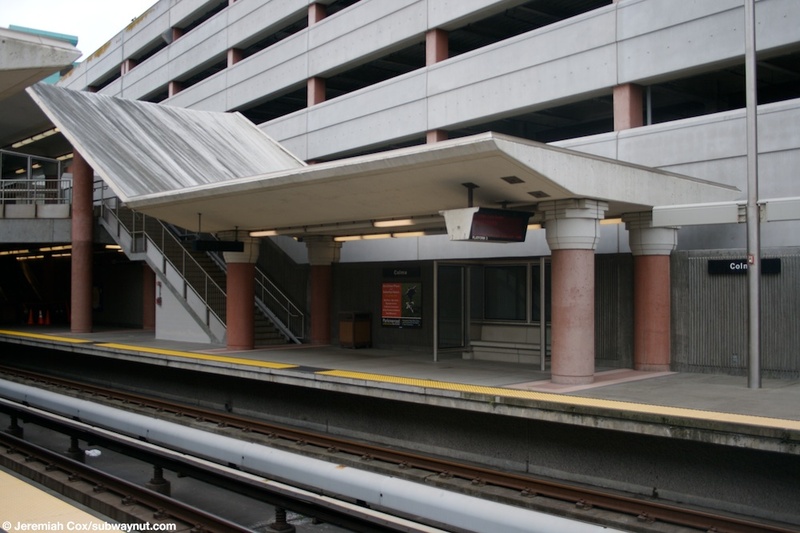 This garage has 4 large levels built directly over the large BART yard north of it. It has two access points, one from each side of the tracks. 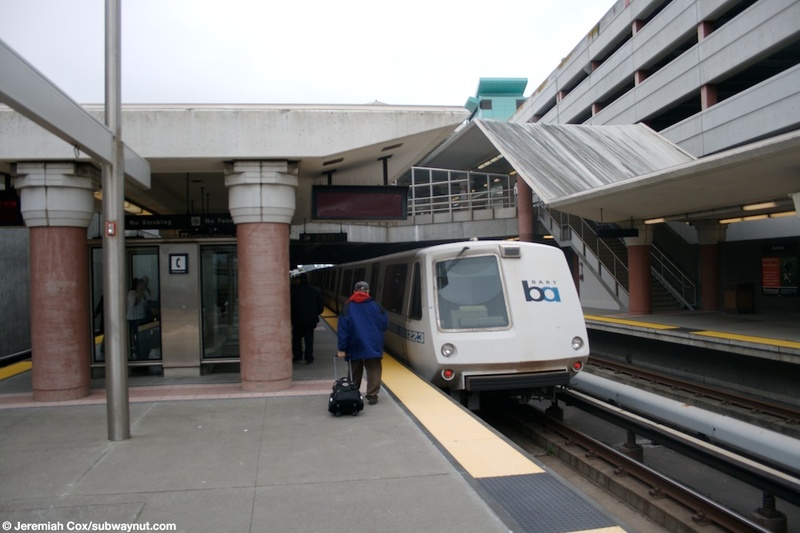 One is a driveway that crosses over the northern end of the BART platforms where there is an emergency exit staircase to Albert M. Teglia Blvd. The other is wider and leads to D Street on the opposite side of the tracks. 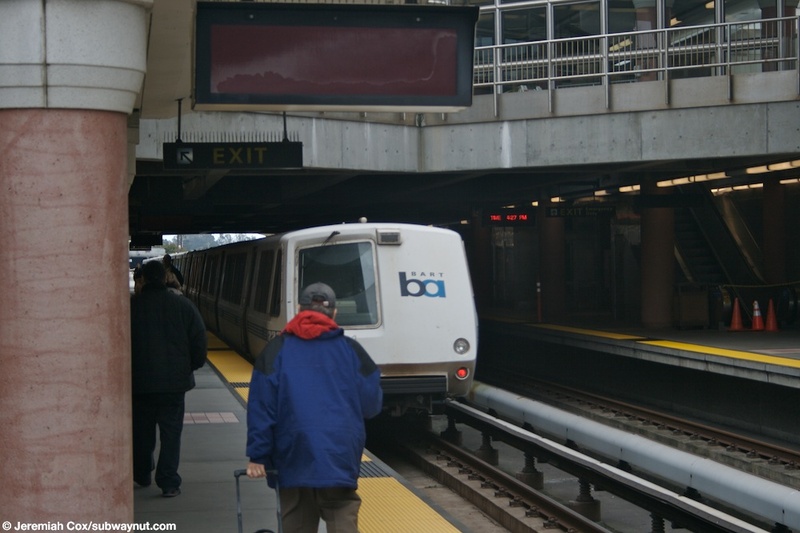 On a level above the D street driveway is a pedestrian walkway that crosses over D Street to the overflow SamTrans parking lots.